Alaska’s writer laureate crosses boundaries and rediscovers home. 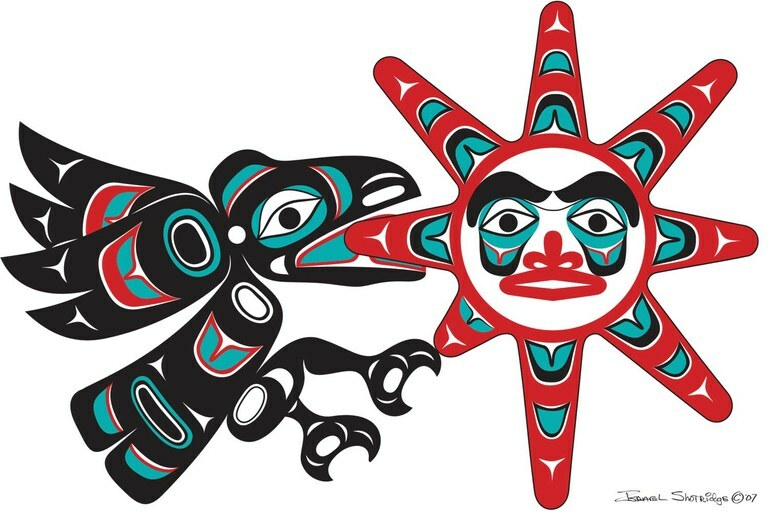 Tlingit art depicting Raven stealing the sun. Hayes became intrigued by the story when she worked as a summer naturalist for the Alaska State Ferry, one of the first jobs she took after 25 years away from her home in Juneau. Caught between an eroding Tlingit culture and her own teenage recklessness, the 16-year-old Hayes and her mother had tried to build a new life in the Lower 48. Later on, after she returned to the North, Hayes began to see Raven’s transformations as a way to brighten the dark spots of her own past. Entering her 50s, Hayes went on to complete a graduate degree from University of Alaska, producing the manuscript that became Blonde Indian: An Alaska Native Memoir. A winner of the 2007 American Book Award, this fiercely honest memoir confronted the alcoholism, poverty and injustice that plagued Hayes’ early years. 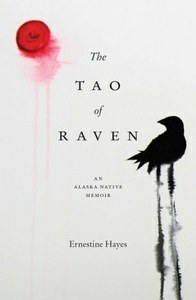 Building on the search for belonging, family and home that led her back to Juneau, Hayes’ new sequel, The Tao of Raven, goes a step further, asking how she might bring healing and light to her world of wounds. Hayes never denies her journey’s present complexities, hard as it is to face the shame and fear that kept her away from her homeland for so long. But with all their transformations, the patience and grace of her nuanced truths — both fact and fiction — transcend enduring prejudice. In The Tao of Raven, her prose is as insistent as it is lyrical, as she urges readers to “take Raven,” and find hope in some “scrap of earth.” That is all we ever have, really: our pasts to hold our stories, and our places to guide our dreams. University of Washington Press, 2016.